Home. | Because of London. 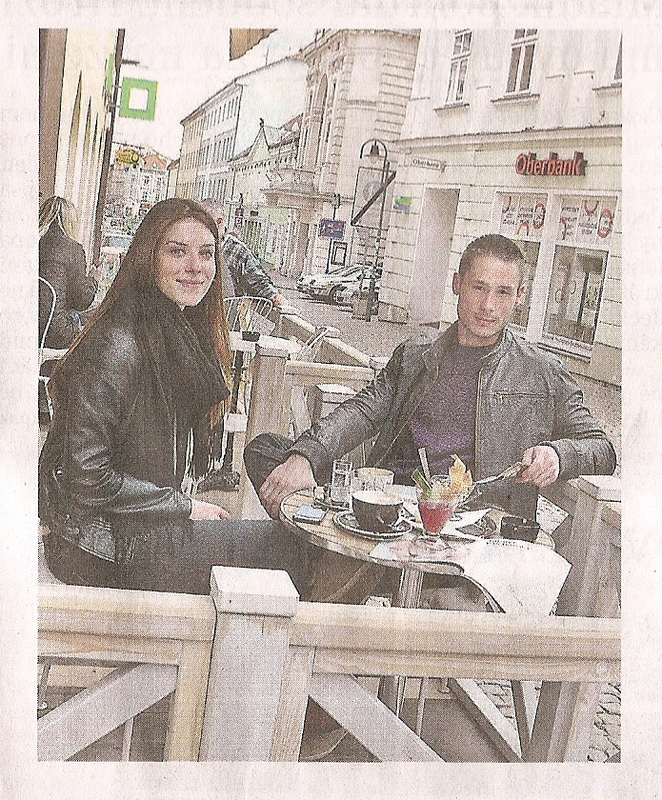 I love my little home town in the Czech Republic where nothing is a bigger event than a couple having ice-cream and coffee on the first warmer weekend of the year. This newspaper cut out was sent to me by my dad this morning because the couple on the picture happens to be my brother and his girlfriend. It made me laugh and it also made me miss my home. I mean the HOME home. When bad things like yesterday’s terrorist attacks in Boston happen, I start missing home so much. Home, the safe place where people read in newspaper about others having coffee and ice cream in the sun. Oh, tell me about it! I think one can never grow out of the “home service” :) I am going for one week in May and I’m literally counting days till then.